Andrew Markus is the Director of the Australian Centre for Jewish Civilisation and holds the Pratt Foundation Research Chair of Jewish Civilisation. He is a Fellow of the Academy of the Social Sciences in Australia and is a past Head of Monash University’s School of Historical Studies. He has published extensively in the field of Australian race relations and immigration history. His publications include (with Margaret Taft) A Second Chance: The Making of Yiddish Melbourne (Monash University Publishing 2018), Australia’s Immigration Revolution (co-authored, 2009); Race: John Howard and the Remaking of Australia (Allen & Unwin, Sydney, 2001); Building a New Community. Immigration and the Victorian Economy (editor, Allen & Unwin, Sydney, 2001) and Australian Race Relations 1788 – 1993 (Allen & Unwin, Sydney, 1994). In an Australian first, Professor Andrew Markus is tracking changes in Australian attitudes towards immigrants and asylum seekers through a series of national surveys. His research is part of the Scanlon Foundation’s Mapping Social Cohesion project which has conducted eleven national surveys since 2007. Andrew has led a project documenting the history of Yiddish Melbourne. It examines in-depth Jewish immigrants who came to Melbourne before and after the Holocaust. It looks at the world the Yiddish-speaking immigrants sought to recreate in Melbourne and to what extent their values were transmitted to their children and grandchildren. While there has been significant language loss, the research indicates the strong transmission of cultural values through the generations. Overlapping with this research is a project looking at the contemporary Jewish community in unprecedented depth. Two phases of surveying have been completed Gen08 (with 5,840 respondents) and Gen17 (with 8,621 respondents. The surveys provide a detailed picture of modern Jewish life in Australia. Building S, 9th Floor, Caulfield Campus. Noah Shenker earned a doctorate in critical studies from the School of Cinematic Arts at the University of Southern California in 2009, completing a dissertation exploring the mediations of Holocaust survivor testimonies. During his doctoral work he was the recipient of fellowships including the Charles H. Revson Fellowship for Archival Research at the United States Holocaust Memorial Museum. Following his graduate work he held a position as a postdoctoral fellow at McMaster University. He is currently the 6a Foundation and N. Milgrom Lecturer in Holocaust and Genocide Studies within the Australian Centre for Jewish Civilisation at Monash University, where his research and teaching focus on the representation of the Holocaust, genocide, and trauma more broadly in testimonies and visual culture. Among other works, he is the author of Reframing Holocaust Testimony (Indiana University Press, 2015) and "Through the Lens of the Shoah: The Holocaust as a Paradigm for Documenting Genocide Testimonies.” History & Memory 28.1 (Spring/Summer 2016): 141-175. 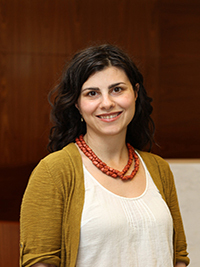 Daniella Doron is a Senior Lecturer in Holocaust and Genocide Studies in the Australian Centre for Jewish Civilisation in the School of Philosophical and Historical Studies. 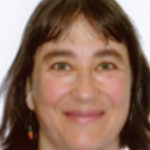 She received her Ph.D. in 2009 from the Departments of History and Hebrew and Judaic Studies at New York University, where she wrote a dissertation entitled In the Best Interest of the Child: Family, Youth, and Identity in Postwar France, 1944-1954. Most recently she was the 2010-2012 Schusterman Postdoctoral Fellow in Jewish Studies at Colgate University, offering courses in modern Jewish history, Jewish history and autobiography, and Jewish migration and diaspora. 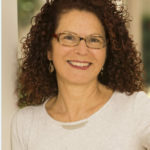 Previously, she was the 2009-2010 Ray D. Wolfe Postdoctoral Fellow in Jewish Studies at the University of Toronto where she offered courses on Postwar Jewish history and Children and the Holocaust. Her first book, Jewish Youth and Identity in Postwar France (Indiana University Press) was published in 2015. 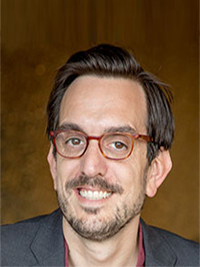 Nathan Wolski is Senior Lecturer in Jewish Studies where he teaches classical Jewish texts and comparative mysticism. His research focuses on the Zohar, the major work of the medieval Kabbalah. He is the translator of The Pritzker Zohar volume 10 and 12, as well as many studies on diverse aspects of the zoharic corpus. More recently, he has begun researching and writing about Aaron Zeitlin, the Warsaw and New York Yiddish mystical poet. Dr. Daniel Kupfert Heller is the Kronhill Senior Lecturer in East European Jewish History at Monash University’s Australian Centre for Jewish Civilisation. His areas of research specialization are East European Jewish history, the history of humanitarian aid and international development, and the history of Zionism and modern Israel. Daniel’s first book, Jabotinsky’s Children: Polish Jews and the Rise of Right-Wing Zionism, appeared in August 2017 with Princeton University Press, and received the Association for Jewish Studies' Jordan Schnitzer Award in the category of Modern Jewish History and Culture. He has published articles related to his research in Journal for Israeli History, AJS Perspectives, Kwartalnik Historii Żydów and Jewish History. Detailed information about Daniel's teaching and research can be found here. ACJC International Programs Coordinator and Teaching Associate. ACJC Adjuncts are researchers who have been appointed to the ACJC. They contribute to the intellectual life of the Centre and support our research environment. Some Adjuncts are available for co-supervision of student dissertations. The ACJC is governed by Monash University regulations and an Advisory Board composed of university and external members. We value the academic independence of our Centre and its staff in accordance with our mission and the ethical practices of Monash University. The ACJC Advisory Board meets on a quarterly basis and is composed of a balance of university and external members. Its role is to provide strategic advice and to ensure that the Centre is fulfilling its mission statement and fiduciary duties. The ACJC Director prepares quarterly reports for review by the Advisory Board.